TruckTEC is our private label brand, offering quality Commercial Vehicle (CV) parts, oils, lubricants, and fuel additives at competitive prices to our members. Find out more about the full TruckTEC range on our website. 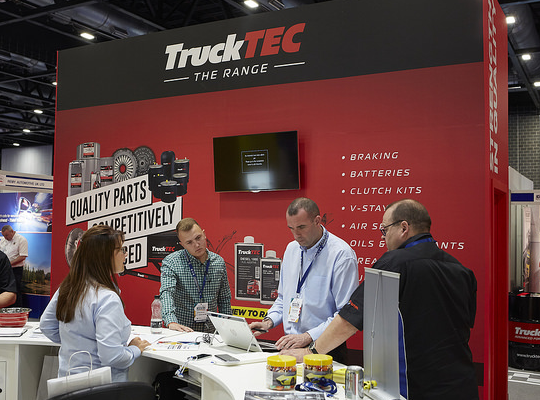 TruckTEC launched in 2014 with the aim of offering G-TRUCK and UAN Truck members the best possible quality CV and LCV parts and additives at competitive prices. We recently extended the TruckTEC range to include fuel additives, oils, lubricants and greases to offer our members a complete range of excellent quality products to stock at their branches. Their customers; CV workshops and garages can rely on TruckTEC to provide products that match and often exceed manufacturers specifications and requirements.